181/365 louvre, originally uploaded by ajbrusteinthreesixfive. 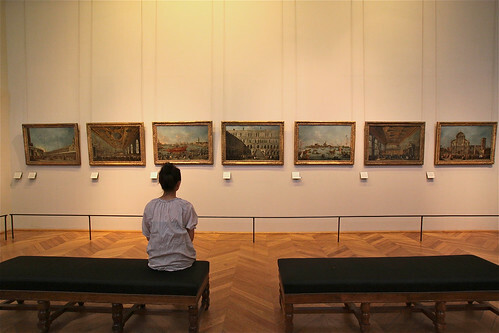 when you are in Paris I guess you have to go to the Louvre. I am not a museum person but we made the trip in the morning to be there before the crazy crowds – and it was good cause we went through the main entrance with no wait and without even purchasing our tickets in advance. Anyway, saw the amazingly disappointing Mona Lisa (so tiny compared to everything else!!) and some huge pieces of art and everything else – honestly, the coolest thing was the building itself – so amazingly huge and beautiful inside. Anyway, this was one small side room of Spanish paintings or something like that. Don’t really remember. Reminded me of Ferris Bueller. Cool thing about the Louvre – you can take as pictures and its is totally fine. 180/365 bonheur, originally uploaded by ajbrusteinthreesixfive. means happiness in English (or so google translate tells me). 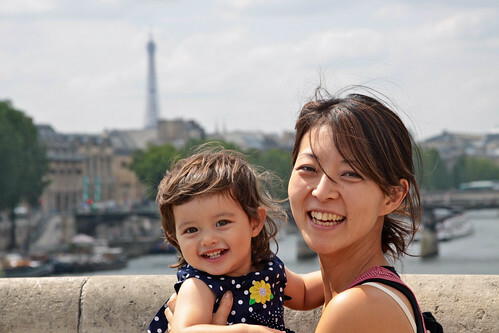 How could you not be – partly sunny skies, 75 degrees, on the oldest bridge in Paris Pont Neuf with the Eiffel Tower in the background and macarons from Laduree in your stomach? 179/365 laverie, originally uploaded by ajbrusteinthreesixfive. 178/365 can’timaginepre1989, originally uploaded by ajbrusteinthreesixfive. 177/365 potsdam, originally uploaded by ajbrusteinthreesixfive. went from Brandenburg to Potsdam to Berlin today – in search of some cool architecture in Potsdam and more importantly, an autobahn to push my rental car to its limits. 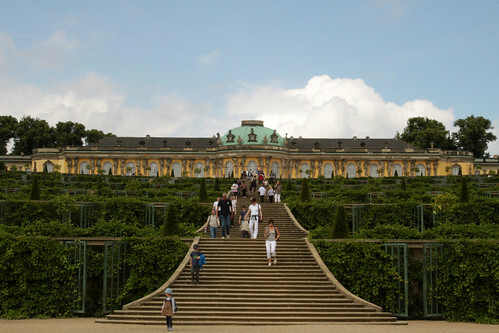 Got some cool architecture as you can see here in this Schloss Sanssouci Palace but never found that autobahn. Very disappointing since I took a bunch of highways considering my navi sent me to the completely wrong city (not Berlin) trying to find my 3rd hotel of this trip… Fastest road I found was 120kph speed limit (75mph – I’ve seen faster roads in America…). Oh well, maybe next time around. 176/365 beautifulgirls, originally uploaded by ajbrusteinthreesixfive. 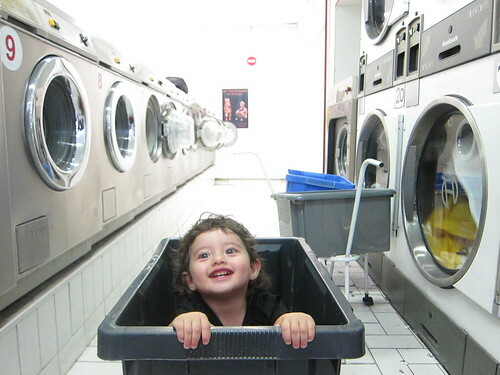 went to the wedding that brought us to Germany – my wife’s friend Miho, or Endy as we refer to her. Toshimi was a bride’s maid and Nyla was a flower girl. It was the first time in her life that she actually had to do something important and we were worried about how she’d perform. But in the end, the staff messed up and didn’t have flowers for her to throw so she just walked with the big calla lily which she proceeded to swing around like a fly swatter. But she was very well behaved and very cute too. So lucky to be surrounded by two beauties! 175/365 whatsreligiongoodfor?, originally uploaded by ajbrusteinthreesixfive. making amazingly massive buildings for one thing. I am sure there are other reasons that religion is good too but they escape me at the moment. 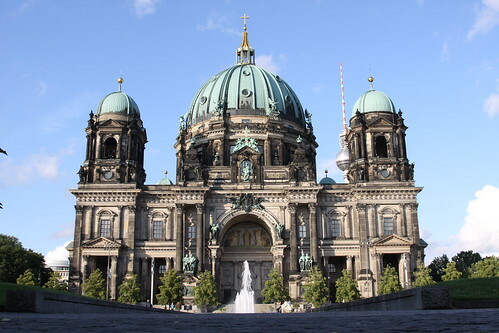 Anyway, this is the Berliner Dom (Berlin Cathedral) is where else, Berlin Germany. It has been on and off rainy for the past two days but it cleared up at the end of the day for a beautiful blue sky for us. The inside is pretty amazing too.